Beware of the thirsty Sasquatch, he is looking for drinks and a warm place to sleep. 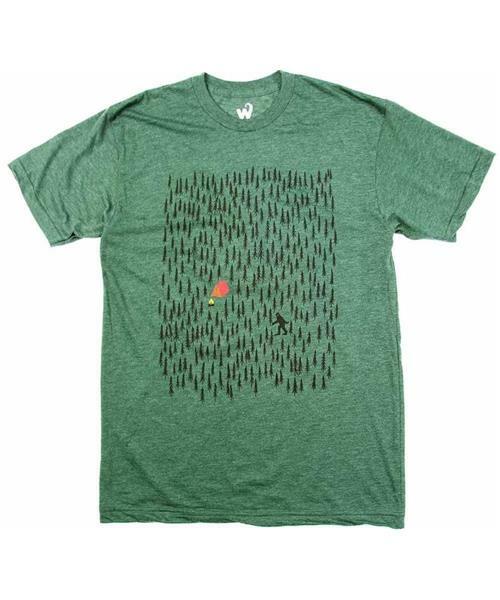 Forest Camping Sasquatch T-Shirt - Unisex is rated 5.0 out of 5 by 2. Rated 5 out of 5 by Gghh from Best t shirt ever We bought one and then went back for more after we saw how great the fabric was. Love the graphics, but even more excited about the quality of construction and fabric. Rated 5 out of 5 by dickandsuezie from Best shirt ever! This is a super soft shirt... nice length, not too short for my husbands long torso. The graphics on this shirt are simply the best...! So great.